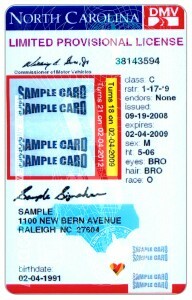 North Carolina Laws require the NC Division of Motor Vehicles to revoke an underage person’s license as required by G.S. 20-17.3 for violating various provisions of the alcoholic beverage regulations including aiding and abetting and attempting to violate certain regulations. However, there are ways to legally avoid the revocation of your license if you are accused of violating these regulations. Call Collins Law Firm for a consultation if you have any questions or need legal representation at: 910-793-9000. The Division shall revoke for one year the driver’s license of any person who has been convicted of violating any of the following: (1) G.S. 18B-302(c), (e), or (f): (2) G.S. 18B-302(b), if the violation occurred while the person was purchasing or attempting to purchase an alcoholic beverage; (3) G.S. 18B-302(a1). If the person’s license is currently suspended or revoked, then the revocation under this section shall begin at the termination of that revocation. A person whose license is revoked under this section for a violation of G.S. 18B-302(a1) or G.S. 18B-302(c) shall be eligible for a limited driving privilege under G.S. 20-179.3. (a) Sale. – It shall be unlawful for any person to: (1) Sell malt beverages or unfortified wine to anyone less than 21 years old; or (2) Sell fortified wine, spirituous liquor, or mixed beverages to anyone less than 21 years old. (a1) Give. – It shall be unlawful for any person to: (1) Give malt beverages or unfortified wine to anyone less than 21 years old; or (2) Give fortified wine, spirituous liquor, or mixed beverages to anyone less than 21 years old. (b) Purchase, Possession, or Consumption. – It shall be unlawful for: (1) A person less than 21 years old to purchase, to attempt to purchase, or to possess malt beverages or unfortified wine; or (2) A person less than 21 years old to purchase, to attempt to purchase, or to possess fortified wine, spirituous liquor, or mixed beverages; or (3) A person less than 21 years old to consume any alcoholic beverage. (c) Aider and Abettor. (1) By Underage Person. – Any person who is under the lawful age to purchase and who aids or abets another in violation of subsection (a), (a1), or (b) of this section shall be guilty of a Class 2 misdemeanor. (2) By Person over Lawful Age. – Any person who is over the lawful age to purchase and who aids or abets another in violation of subsection (a), (a1), or (b) of this section shall be guilty of a Class 1 misdemeanor. (d) Defense. – It shall be a defense to a violation of subsection (a) of this section if the seller: (1) Shows that the purchaser produced a driver’s license, a special identification card issued under G.S. 20-37.7, a military identification card, or a passport, showing his age to be at least the required age for purchase and bearing a physical description of the person named on the card reasonably describing the purchaser; or (2) Produces evidence of other facts that reasonably indicated at the time of sale that the purchaser was at least the required age. (3) Shows that at the time of purchase, the purchaser utilized a biometric identification system that demonstrated (i) the purchaser’s age to be at least the required age for the purchase and (ii) the purchaser had previously registered with the seller or seller’s agent a drivers license, a special identification card issued under G.S. 20-377.7, a military identification card, or a passport showing the purchaser’s date of birth and bearing a physical description of the person named on the document. (e) Fraudulent Use of Identification. – It shall be unlawful for any person to enter or attempt to enter a place where alcoholic beverages are sold or consumed, or to obtain or attempt to obtain alcoholic beverages, or to obtain or attempt to obtain permission to purchase alcoholic beverages, in violation of subsection (b) of this section, by using or attempting to use any of the following: (1) A fraudulent or altered drivers license. (2) A fraudulent or altered identification document other than a drivers license. (3) A drivers license issued to another person. (4) An identification document other than a drivers license issued to another person. (5) Any other form or means of identification that indicates or symbolizes that the person is not prohibited from purchasing or possessing alcoholic beverages under this section. (f) Allowing Use of Identification. – It shall be unlawful for any person to permit the use of the person’s drivers license or any other form of identification of any kind issued or given to the person by any other person who violates or attempts to violate subsection (b) of this section. (g) Conviction Report Sent to Division of Motor Vehicles. – The court shall file a conviction report with the Division of Motor Vehicles indicating the name of the person convicted and any other information requested by the Division if the person is convicted of any of the following: (1) A violation of subsection (e) or (f) of this section. (2) A violation of subsection (c) of this section. (3) A violation of subsection (b) of this section, if the violation occurred while the person was purchasing or attempting to purchase an alcoholic beverage. (4) A violation of subsection (a1) of this section. Upon receipt of a conviction report, the Division shall revoke the person’s license as required by G.S. 20-17.3. (h) Handling in Course of Employment. – Nothing in this section shall be construed to prohibit an underage person from selling, transporting, possessing or dispensing alcoholic beverages in the course of employment, if the employment of the person for that purpose is lawful under applicable youth employment statutes and Commission rules. (i) Purchase, Possession, or Consumption by 19 or 20-Year Old. – A violation of subdivision (b)(1) or (b)(3) of this section by a person who is 19 or 20 years old is a Class 3 misdemeanor. (j) Notwithstanding any other provisions of law, a law enforcement officer may require any person the officer has probable cause to believe is under age 21 and has consumed alcohol to submit to an alcohol screening test using a device approved by the Department of Health and Human Services. The results of any screening device administered in accordance with the rules of the Department of Health and Human Services shall be admissible in any court or administrative proceeding. A refusal to submit to an alcohol screening test shall be admissible in any court or administrative proceeding. (k) Notwithstanding the provisions in this section, it shall not be unlawful for a person less than 21 years old to consume unfortified wine or fortified wine during participation in an exempted activity under G.S. 18B-103(4), (8), or (11). How much is a companion pet worth? This is the question that is being asked in regards to the death of Laci, a Jack Russel Terrier of a Wilmington couple. Laci died in 2007 after veterinarians at NC State inserted a feeding tube in her trachea instead of her esophagus, causing Laci to drown over several hours. The Sheras filed a complaint in 2009 against the NC State Veterinary School, two veterinary residents and an intern who treated Laci. The couple accused them of malpractice. In their lawsuit the Sheras question whether the residents had the proper supervision while working in the intensive care unit. The Sheras, Laci’s owners, are fighting a legal battle with the state over how much they are entitled from Laci’s death. The value of a companion animal is being calculated at the fair market value of replacing the animal which is not in line with the value that Americans place onto pets. 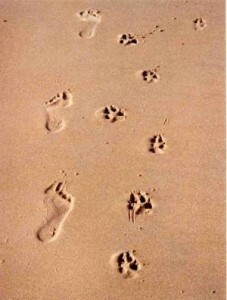 Many state laws view animals as being a piece of property instead of another member of the family. There is an argument against this view based upon the legal system’s valuation of a companion animal not being in line with what an average pet owner is willing to spend in veterinary bills. The Sheras have been fighting this view of compensation and the rights of animal owners over the loss or injury of an animal caused by another. The State estimates the cost of replacing Laci is only $350 based upon market value. The Sheras’ attorney argues that they are entitled to more than $350, that they should be compensated for more than $28,000, which was the cost of Laci’s cancer treatments at NC State. The Sheras have made statements about this lawsuit not being about the money, but rather about this being justice for Laci and trying to change the system. They are hoping to change the law so that no other family or pet has to go through what they have been through. On January 23rd, 2012, the Sheras’ case made it to the North Carolina state Court of Appeals but the decision is not expected for at least a few months. The Sheras’ case is just one of the recent court cases that essentially treat animals as human under the law. The United States Courts are deciding against centuries of legal decisions that have defined animals as property. In recent years Judges in 25 states have administered financial trusts set up in pets’ names as well as courts in New York, Maryland and Texas resolving custody disputes involving pets by deciding what’s best for the pet. The Courts have begun to take claims of veterinary malpractice seriously as well. Courts in Kentucky and California have awarded damages to pet owners for the loss of companionship, emotional distress and other factors that go beyond the assessed animal’s worth based upon their market value.